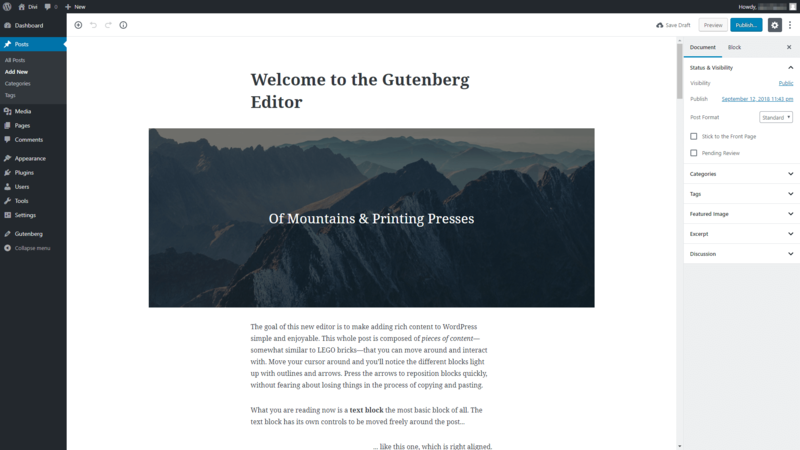 If you’re a WordPress user, you’ve probably heard some buzz about the upcoming Gutenberg editor. We’ve talked about what Gutenberg’s launch means for WordPress already. However, we didn’t yet get the chance to dig deeper into how the new editor works. By understanding the basics of Gutenberg before it launches, you’ll be ready to hit the ground running by the time WordPress 5.0 rolls out. Plus, if you’re an Uncode user, you’ll want to know how the Gutenberg experience is going to compare to the visual builder you’re used to. In this article, we’re going to provide a brief introduction to the Gutenberg editor. Then we’ll explore what it has to offer, and compare it with Uncode. Let’s get to work! The current WordPress editor works. 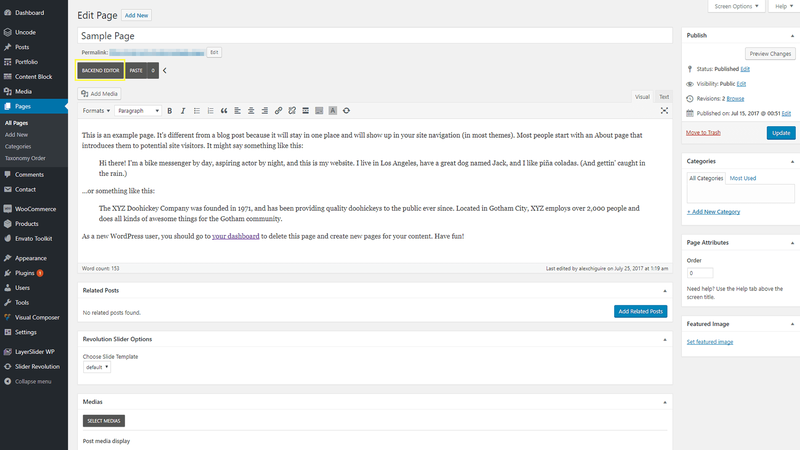 However, it’s fair to say that it falls a bit short of the functionality that more advanced page builder tools offer. That’s because the WordPress editor is all about content creation and editing, and not building pixel-perfect pages. In addition, it’s been around in more or less its current state for a long time. With Gutenberg, WordPress intends to take a bold leap forward by overhauling the editor’s style completely. The new update will include a blocks system and drag-and-drop functionality, which are the two core pillars of page-building tools. The editor should feel familiar if you’ve ever used a page builder tool before. You will have more control over the way your posts and pages look. WordPress will be better placed to compete with other platforms that offer advanced page-building functionality. On paper, Gutenberg sounds like a fantastic idea. However, the community’s response to the editor has been very lukewarm ever since its beta version rolled out. As it stands right now, Gutenberg feels like a compromise between the classic editor and page-building solutions. That’s not necessarily a bad thing. However, by not fully committing to one road or the other, the new editor risks not satisfying a lot of the platform’s core users. Of course, Gutenberg is not out yet, and we don’t know what its final feature list will look like. It’s gone through a lot of developments in the past year, however, so it’s worth checking out its current state for yourself. Since the new editor is still in beta, you’ll need to install the Gutenberg plugin if you want to try it out. Keep in mind that it’s best to do this on a staging website, as it may cause issues with your live site. 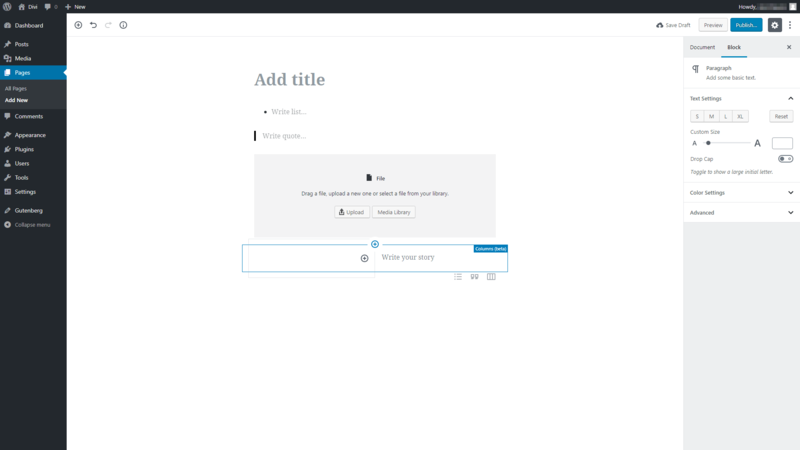 Although it looks a lot sleeker, the primary functionalities of the WordPress editor are all still here. 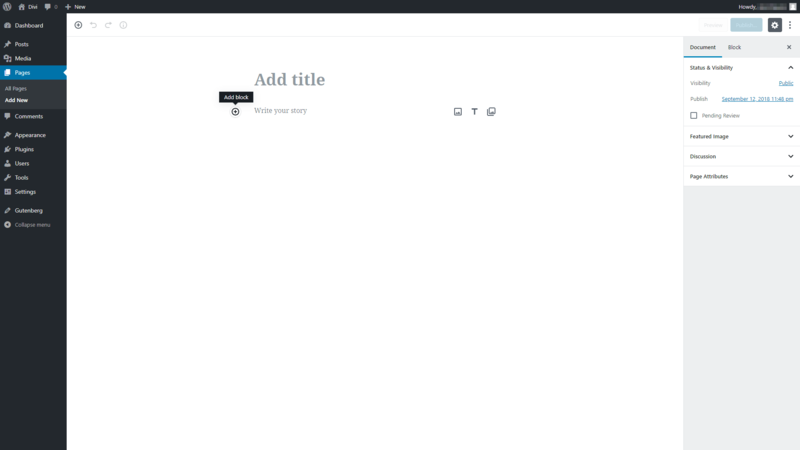 You can use the center column to enter the title and body of your content, for example. To the right, you’ll find multiple tabs including the options to add categories, tags, and a featured image to your content. If you click on that plus sign, you’ll see a list of all the blocks you can add to your post or page. Each block represents a different type of content, such as text, an image, a table, and so on. Creating content within Gutenberg involves building it piece by piece, and then customizing and arranging your blocks as needed. The column feature is still being developed, however, so don’t expect it to work perfectly at the moment. Getting used to Gutenberg is remarkably simple, whether or not you’ve used a page builder plugin before. However, it’s also evident that in its current state, it can’t replace a fully-featured page builder tool. 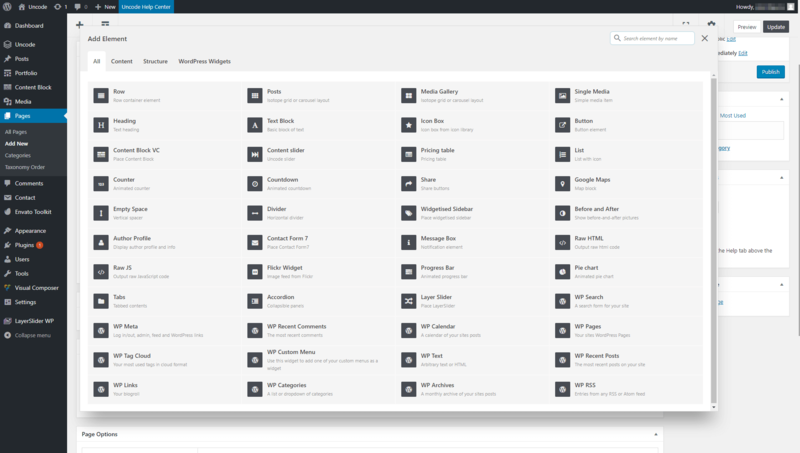 All the basics are there, including a block system, columns, and drag-and-drop functionality. However, the block selection is still somewhat small. Plus, the editor offers few options when it comes to customization (although that may change in the future!). Ultimately, while the Uncode visual builder and Gutenberg share a lot of similarities, they offer vastly different experiences at the moment. In short, if you’re an Uncode user, we don’t recommend that you make the jump to Gutenberg just yet, as you’ll lose access to a lot of key features. If you haven’t tried out Uncode before, and you aren’t satisfied with what Gutenberg has to offer, now is the perfect time to give our theme a try. Gutenberg’s launch is one of the most exciting things to happen within the WordPress ecosystem for years. The old WordPress editor is about to become a thing of the past, although you’ll still be able to use it if you want to (thanks to a dedicated plugin). 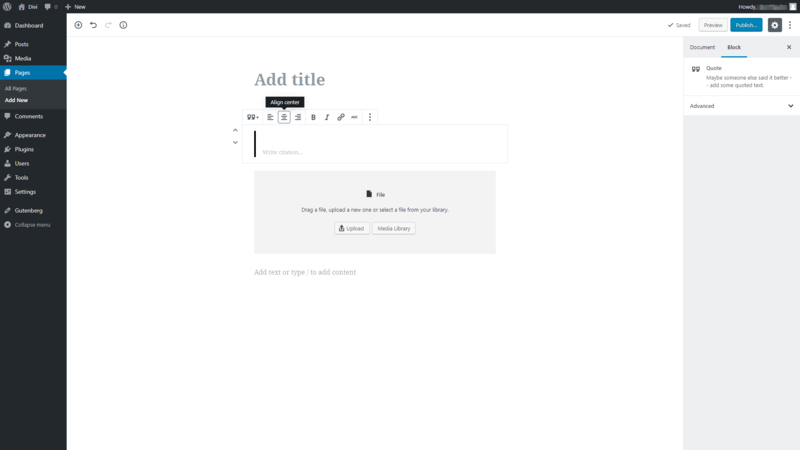 If you’re an Uncode user, however, rest assured that we’ll continue to work on our flagship theme’s visual editor. As Gutenberg stands now, it’s nowhere near ready to replace a full page builder solution. 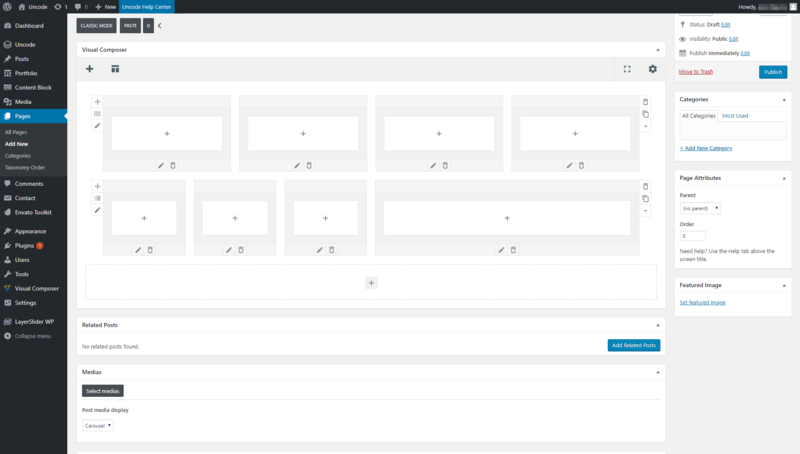 At some point, we’ll probably integrate Uncode’s visual builder with the new editor. For now, we recommend that you sit tight and keep on working as usual. Do you have any questions about how the Gutenberg editor works? Let’s talk about them in the comments section below!